That blue is seriously awesome! I know right! It's such a flattering blue and the formula is amazing. Wooo great minds hun! Just done me some snowflakes too :) And love the cutesy rudolph accent! Love this design! 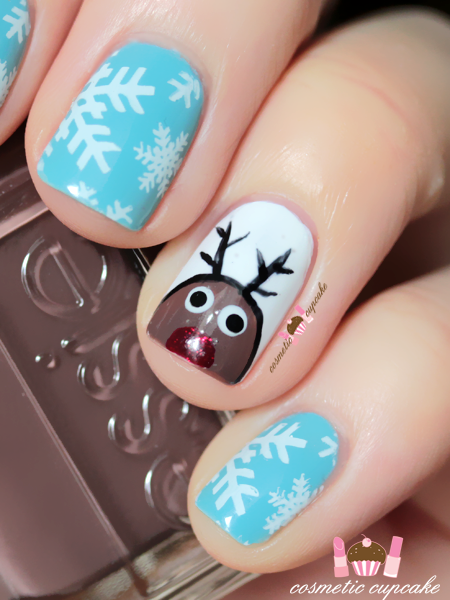 Rudolph's nose really pops & your stamping looks wonderful!